Roasted potatoes are one of my go to quick and easy side dishes and I especially love these taco seasoned wedges. I actually adapted them from a casserole awhile back but I can’t remember where I found the casserole at or I would share it with you because it was pretty good. Preheat to 425 degrees. 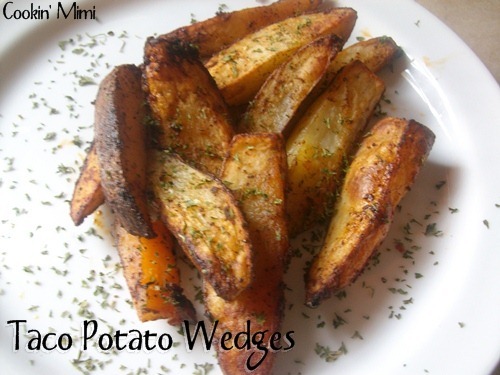 Cut potatoes in to wedges. Mix taco seasoning, oil and salt to taste in a bowl. Put cut wedges on top of seasoned oil. Mix thoroughly.